Nielsen has released its 2018 mid-year music report, and the analysis shows overall growth in music consumption as streaming continues to post bigger and bigger numbers. Total album equivalent consumption — which includes all of Nielsen’s metrics for albums, tracks, on-demand audio, and on-demand video — rose 18.4% on-year to 360.1 million. 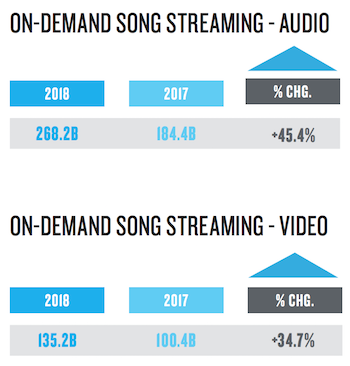 On-demand streams of both audio and video rose at a faster pace, spiking 41.6% from 284.8 billion in the first half of 2017 to 403.4 billion in H1 2018. The audio streams in the period rose 45.4% to 268.2 billion, while video streams increased 34.7% to 125.2 billion. The streaming performance drove success for overall digital music consumption. Album equivalent consumption for digital formats rose 24.7% to 318.8 million. Digital album sales dipped 21.7% to 27.5 million, while digital track sales fell 27.4% to 223.1 million. The share of music consumption on physical formats continued to dwindle in the latest report. Total physical album sales declined 14.6% to 41.3 million. As has become common, vinyl LP sales were the sole area of growth, increasing 19.2% on-year to 7.6 million. 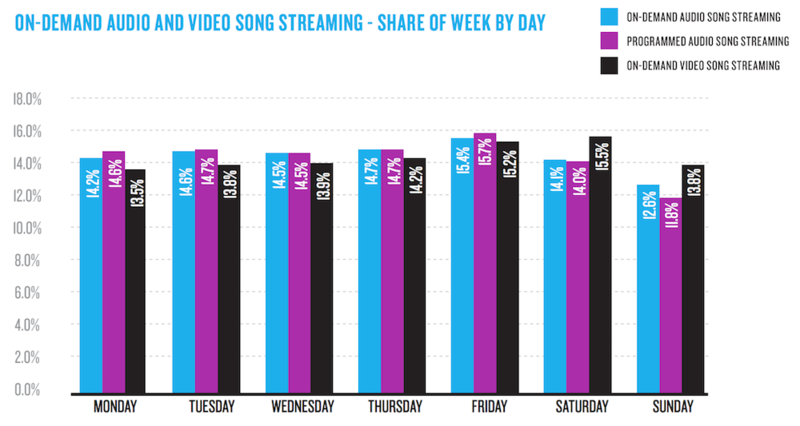 Nielsen broke down streaming habits by day of the week, noting some slight trends in overall preferences. During the weekdays, streaming of on-demand audio and programmed audio generally hovered in the 14% range, reaching a peak of 15.4% and 15.7%, respectively, on Fridays. Sunday was the slowest day for audio music. On-demand video song streaming reached its high on the weekends, only surpassing the rates for audio on Saturday and Sunday. Saturday is the highest rate for on-demand video at 15.5%. KOLDPOP RADIO… Coming Back With Content Beyond Anything Anywhere , But Wish Advise In Getting This Program Out For Even Small People Can Produce Big Things. 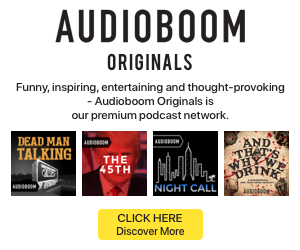 A Non-Profit Program Designed For Us Special Listeners. 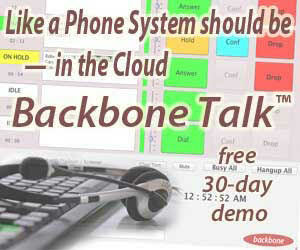 No internet Radio Station In The World Will Do What This Program Hopes To Do And That Is Regain My Audience Of The Past. KOLDPOP RADIO–No Joke, Just Substance Galore. It’s Extremely Difficult To Explain Something That Could Take Pages To Document The Intentions Of This Program For Not Even The Big Guys Will Believe what I Wish To accomplish And Furthermore They Don’t Have The Content Nor The Ideas That Have Already been Put Together For A Hopeful Public Approval ..Some Day.